Buy Capistrano Surfside Inn. For an unbeatable annual vacation on Capistrano Beach, buy a Capistrano Surfside Inn timeshare! 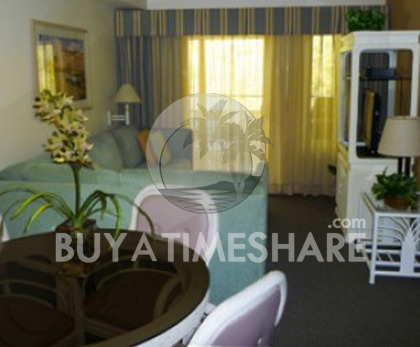 BuyATimeshare.com provides the greatest selection and the best prices for timeshare resales, meaning you get exactly what you want for the lowest cost possible! Buyers love our website and how easy it is to navigate, as well as our friendly and helpful staff. Buying resale can seem daunting at first, but not only do you save literally thousands of dollars off of resort prices, but BuyATimeshare.com has professional Buyer Specialists to assist you through the process! The Specialists will answer any questions and address any concerns you may have, assist through the browsing process, and even refer you to financing and an inexpensive closing company. So what are you waiting for? Visit our website and buy a Capistrano Surfside Inn timeshare today! Contact Capistrano Surfside Inn Specialist Today! This Resort is a great way to spend a week, and enjoy the amenities just like you are in the Bahamas. What I like about this Timeshare resort is the awesome location. We have enjoyed this property for years and years. When we stay here we enjoy all the popular amusement parks. To the North, the resort hospitality can put you on a shuttle to Hollywood, we loved the Warner Brothers Studio Tour. Staying at Capistrano Surfside Inn, you are in perfect Proximity to enjoy Disneyland and Knotts Berry Farm and more right up the freeway. The same is true to the South, and enjoy Sea World, Lego Land, Safari Zoo, and Mexico. I have been to all these parks over the years with my growing family. Now I want to touch on even better conveniences and amenities...The BIG BLUE pacific Ocean...Down the road at the Point there is Great Whale watching tours, wonderful sea food restaurant's, antiques shops and the amazing San Juan Capistrano Mission. The one thing that captures my attention the most is this resort is right on Pacific Coast Highway and on the other side of that road is the beach and the Ocean....Great surf, soft sand, Superb Sunsets and relaxing waves breaking. You will do well to stay here and enjoy the beauty and splendor for your recharge and the family to play. Keep in mind the limitation of coast miles. There is just that many nice coastal sand to play on and dig your toes into. In all your vacation choices you will love this place to play, hide or socialize. Or trade it like we have a number of times.